Touring Disney’s Hollywood Studios is hungry work so make sure you keep your motor running with the delicious snack options in this park. This little bookstore/coffee shop on The Streets of America has a large assortment of coffee options as well as pastries, cupcakes, cake pops, rice krispy treats, and cookies. They are most famous for their carrot cake cookie so be sure to try that. Breakfast is really easy to cover with a snack credit on your dining plan and it couldn’t be easier than picking up a pastry and a coffee at Starring Rolls. You can grab a croissant in regular or chocolate, a cinnamon roll, a bagel with cream cheese, or a turnover or danish. There also healthier options like yogurt and fruit. If you’re feeling like a quick dessert type snack, they offer cupcakes, eclairs, tiramisu, cookies, and even banana splits. This is going to be your Starbucks stop so go ahead and grab that Frappuccino or Teavana drink. There are several of these scattered throughout the park but there are some notable ones. Anaheim Produce – This is the go-to for healthy snack options. You can get fresh fruit and vegetables, hummus with pretzels,and trail mix. They also offer refreshing drink options like frozen lemonade and Orange Bird cup. There are alcoholic drinks as well. Fairfax Fare – If you’re in the mood for a hot dog, you can grab a gourmet Mac and Cheese and Truffle Oil dog at this location. Get a beer to wash that down. Hollywood Scoops – If ice cream is what you crave you can get a cone here. There is also apple crisp a la mode, as well as ice cream sandwiches made with freshly baked cookies. Oasis Canteen – If you love funnel cakes be sure to stop here. You can get them with the traditional powdered sugar or try them with ice cream and strawberry topping. You can try a Coke or root beer float here as well. Studios Popcorn – You can find this popcorn cart on Hollywood Boulevard. Toluca Turkey Legs – Not sure if a Turkey Leg counts as a snack rather than a meal, but if you wanna get your Henry the VIII on, this is the place to do it. Better get a beer too to make it really authentic. If you want a delicious PB & J milkshake from 50’s Prime Time you don’t need a reservation! You can walk in and go straight to the bar area and order your shake to go! 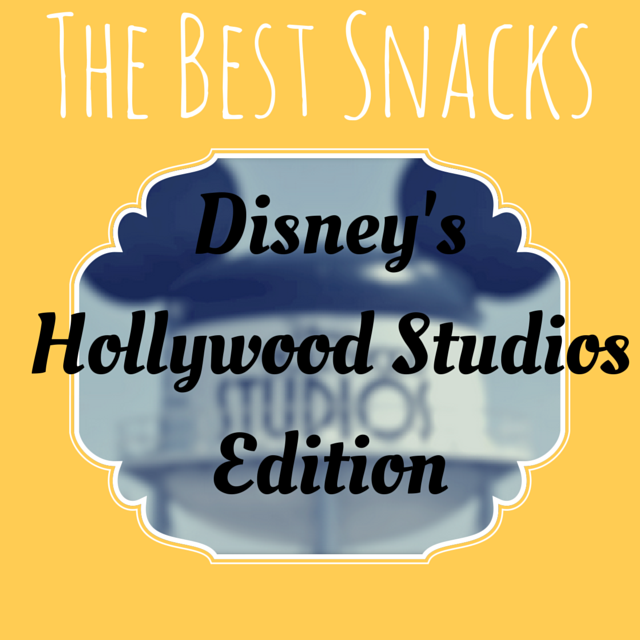 Let us know what your favorite snack is at Hollywood Studios! Leave it in the comments!